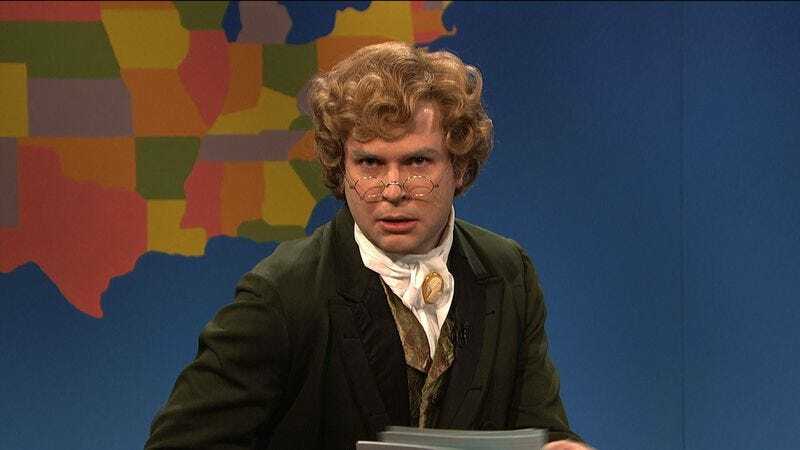 According to a report from TV Line, both Taran Killam and Jay Pharoah won’t be part of the Saturday Night Live cast when it returns to NBC for a 42nd season this fall. Apparently, they’re both leaving “to pursue other opportunities,” but this Uproxx interview with Killam makes it sound like it wasn’t exactly his decision (his contract wasn’t up yet, for one thing), though he does have a big movie to work on. Either way, an NBC representative confirmed the news to TV Line, so Pharoah and Killam are officially out now after six seasons. Pharoah’s exit will deprive the show of its President Obama during the 2016 election season, just like in real life. TV Line says SNL is “expected to introduce several new cast members before the launch of the new season next month” which seems like a necessity at this point. Also, hopefully SNL will remember to do a cursory glance at any new hires’ Twitter feeds this time. UPDATE: Saturday Night Live has also shed one of its featured players. Deadline reports that Jon Rudnitsky, who joined the show in 2015, will not be part of the 42nd season either. So while the show might still have a Donald Trump in Darrell Hammond, it will have to find a new Vladimir Putin if it wants to move forward with any “Honeymoon In Moscow” skits.